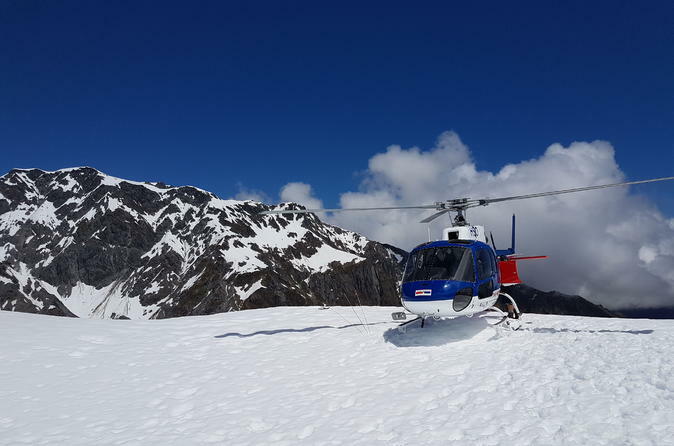 Make your way to a central location in Franz Josef township, where you’ll check in for the flight; helicopter departures are available throughout the day, and can be arranged after booking. Lift off above the Franz Josef Glacier, which stretches through Westland Tai Poutini National Park, with thick forest that creeps to the edge of the ice. Mid-way through the flight, the pilot will touch down on part of the glacier snowfield, in a location that could otherwise be reached only with specialized equipment and mountaineering guides. 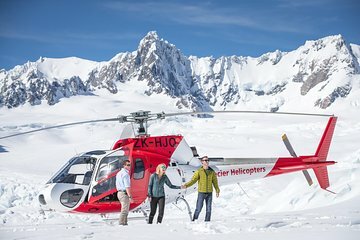 After time to snap some photos and enjoy the view, return to the helicopter for the flight back to Franz Josef township, where this tour concludes at the original departure point.